Now folks, some of you may have seen my highly coded teaser about what I was going to write about next. The smartest amongst you may have even guessed what it was. Well, no more super secret ‘mystery’. It’s Parts of the Body in Sinhala. And you’ll soon see why this might be one of my favorite posts ever… Has something to do with a little munchkin who stopped by my office. Special Thanks To My Nephew, Shakeel! Here’s why I really enjoyed doing this post! 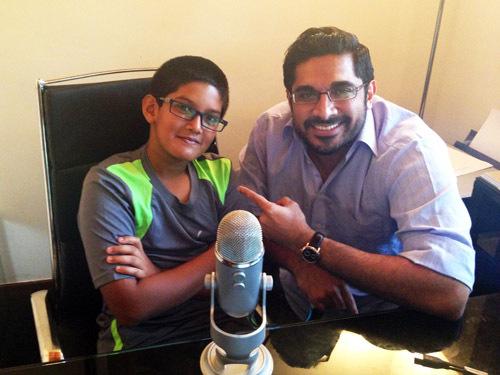 This is Shakeel, my 12-year old rugby-playing multi-talented nephew who agreed to help me out with the recording. You’ll see that he does a much better job than I’ve ever done. Here’s how I’ve structure this post. You’ll see it more clearly by CLICKING ON THE IMAGE below. But remember to come back to this post so that you can hear the pronunciation, ok? Let’s start with the word for BODY in Sinhala and then go on to the 4 zones. 4 Sometimes also called ‘paa∙dhȧ∙yé æňgil∙lȧ’. You might be interested to know that ‘æňgil∙lȧ’ means finger (we’ll cover this in a future post). So essentially, the Sinhala word for ‘toe’ translates as “The finger of the foot”. Before going on to the bonus section… I reaalllly need something from you! Yes folks, I need you to come up with some phrases for me please (I’ve reached my quota of brain activity for the week). Please leave all your suggested phrases in the comments below and I’ll send you a collection of it in a nice little PDF. Make the phrases useful, make them smart, make them fun! I’ll speak to you soon in the comments section. Another excellent piece of work. Thanks, you do some really great and useful stuff. I read and practice all of your lessons. Some words or phrases that i thought could be handy and be somewhat amusing to use as a non Sri Lankan, would be some colloquial language. It doesn’t need to be over the top but.just words and phrases that are used in normal conversation but may not reside in the dictionary. English equivalents may be say ; ‘cool’, ‘sure mate’, ‘no worries’, ‘what’s up’, ‘awesome’, ‘give me a break’, ‘hang in there’, ‘lighten up’ etc – you get the idea. I see what you mean by colloquial terms. Let me give that some thought. I appreciate the suggestion. Thanks again for the comment; talk soon. Awesome post, first of all. When I first found out the word for toes, I started saying ‘foot-fingers’ to my Sinhalese friends. Also, is the ‘ura’ in shoulder from the word for pig? If so, why? The word for buttocks, is it just the word meaning ‘behind’? I have heard my friends saying that in regards to buildings etc. Finally, isn’t ‘bada-geddiya’ another way of saying someone has a big stomach? Hi Cass, happy to hear from you again! Fair question but no, the word for pig is ‘oo∙ra’ (I hope you see the difference in the pronunciation). About bada gediya, haha, yes, you could describe a big stomach. It’s meant to give the idea of a round and protruding stomach. Hope that answered your questions. Thanks again for them. Take care Cass! Another excellent edition. This site has been wildly helpful while teaching in Sri Lanka. Thanks for all of your efforts! As I teach mostly young children, I need a few phrases like: “Does your stomach ache”, and “keep your hands to yourself please.” :) Thanks in advance! Thanks Tracy, I’m glad that it’s been helpful. Thanks also for the suggested phrases. Will make a note of it. Seriously: As usual an awesome, great and funny post. Thanks so much. The phrases in times of Soccer World Championship are not sooo difficult to think. I am gonna to write you a mail. I had to google Conchita Wurst to know who you were referring to and I am glad that I did, haha. I see the resemblance! Thanks for the encouraging comments about this post and I’m very happy that you found it awesome. I shall await your email, which as you know, I always appreciate. Hi Ashroff, thank you so much! Always glad to hear that it was useful. Your live database words were more than enough to make me happy :) Talk to you again soon. Love the fresh voice… more of a light honey with a little grit in it! ;) And the bonus portion too. And I love the suggestion of “colloquial phrases”…. Like ‘That’s bullsh**” and “That’s too bad”… I think you could really have fun with that, while NOT getting us non-native speakers in too much trouble. Noted about the colloquial phrases. Well, ‘‘kaa∙gé kawu∙dhȧ’ is just a way of asking more about someone. For example, you could ask ‘e∙yaa kaa∙gé kawu∙dhȧ?’ which essentially means “Who is he/she?” but with more emphasis on finding out what is his/her background is in terms of relationship (e.g. who are his parents, whose friend is he, basically another way of finding out how you know this person). Hope that explained it better? But just a slight correction on the sentence you gave. It should be o∙yaa∙tȧ (and not o∙yaa). Actually, this has given me an idea for a short grammar post on “I can” and “I can’t”…. Hmmmm…. Thanks again for your input, Heather! Thanks for the help! And “chuffed” is outside this American’s vocabulary. Is it good or bad? It means “pleased” or “proud”. I’m back from Sri Lanka since a month and I’m trying to keep up my knowledge, since I’d like to go back some time next year to give a few training courses. As a suggestion, can I request words that can be used to describe the body? Strong, weak, fat, thin, ugly, pretty, stiff, loose, tired-looking, … I remember the vocabulary so much better when I see it written out in blog form with your fun and crazy images! I always struggled to ask my patients stuff like that and often had to resort to pantomime. Thanks again for a great blog post and talk to you soon! I have exams right nw but after tat I’ll have more time to study up on my Sinhala again! Shall pass on the compliments to Shak. Oh, you’re back already? You must (please) write to me when you have time and give me a summary of your overall view of the whole experience. I bet you have some good stories to share, not just from a learning Sinhala point of view. Happy to hear that you’ve already decided to come back. Your suggestion is very good and apt. Shall look into it. Thank you. lesson is I should say is excellent. I did not know the Sinhala word for some body parts. Now let me ask you something. How to say the following phrases in Sinhala? Not that I need them at present, but it’s nice to know when I am a Native of Sri Lanka. Hi Elizabeth, well it was the same way I managed to fix my head onto the male model’s body too :) It’s quite easy actually, I used a photo editing software (plus I have years of experience in this since I used to love playing around with family photos and making everyone in my family look ridiculous, haha). “This time your lesson is I should say is excellent”…. Thank you so much, I appreciate it that a lot!! I’ll have to think about the translations you asked about. I’m struggling with a few word in them to be honest. I’ll let you know soon. Take care Elizabeth and was great to hear from you again. Well, It has to take a lot of experience to do something like cloning. Anyway it’s really wonderful. of time. But thanks all the same for offering. Awesome i just really love the way u explain and teaching! sooo funny! නියමයි! ඔයා ලියපු ඒවා මම විනෝද උනා. තව වචන ලියන්න පුළුවන්. ඔයාගේ පාද ගඳයි (o-yaa-gee paadȧ ga-ndai) – Your feet stink! මෙන්න, මේ සිංහල තේරවිල්ල තෝරන්න දන්නවාද? men-na (here! 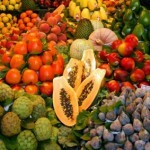 ), mee (this) sinhala thee-rȧ-vil-lȧ (riddle) dan-nȧ-waa (know) dȧ? Here, do you know how to solve this Sinhala riddle? Q. අලියා නොයන මග මොකක්ද? a-li-yaa (elephant) no-yȧ-nȧ (not going) ma-gȧ (the road /path) mo-kȧk-dȧ (what)? What is the road that a elephant doesn’t go on? Haha, Lee! Entertaining comment, as usual :) Thanks also for the riddle! Great stuff. First of all I would like to say how fabulous your teaching is and how much it helped all my pronunciation of Sinhala while I was visiting there, plus I learned so much from my Sri Lankan friends too! We saw over 200 wild elephants at Minneriya – the Gathering had begun at the end of April already…it was fantastic! It’s great to hear your nephew Shakeel – he is fabulous to learn from. Really clear and articulate. And body parts are important! Rebecca ! Hope to hear from you soon. I’m delighted to hear that you got a chance to practice your Sinhala while you were here! The experience in Minneriya sounds amazing too. About what you said about Shak, I’ve already texted those lines to his mum and I added the snarky comment “I guess all those elocution lessons classes paid off, huh?” :) Thank you. Thanks also for the phrases you suggested. And I know what you’re talking about too. I climbed Adam’s peak when I was a teenager (in much better shape than I am in now) but I still remember having those sore muscles and wobbly knees you mentioned! Lookee lokuma ginna? The biggest fire( ginna) in the world? Badaginna! The fire in the stomach= hunger. Thanks for your new topic.for the word piti passa, I knew this word and only use it with the meaning of behind.my sri Lankan friends are using more the word p***.but maybe it’s the rude one!!! !i understand why everybody is laughing when I say it especially the girls and kids. I have a request.please if you have time one day try to make a lesson with numbers.it’s difficult for me. Haha yes Robert, that’s not the most ‘correct’ word to use for ‘buttocks’ :) That explains the reactions you got. 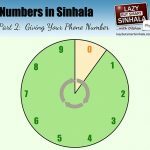 Thanks again for your blog, the first one to really help me learn some sinhala (I told you already, the other stuff I had only made me get depressed). May be you can even sometime write a blog about “Going to the doctor” (or “How to understand the diseases of your srilankan friends”), what do you think of that? Hi Ana, great to hear from you again and more importantly, relieved to know that my material has *still* not driven you to depression :) I’ll do my best to keep it that way. Thanks for the suggested phrases although I’m sorry to hear that your daughter actually got an allergy. I assume she’s all ok now. Shall add all these to the list. 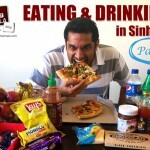 “How to understand the diseases of your Sri Lankan friends”, haha, I love it! I would definitely click on any blog post that had that title. Let me brainstorm the content for that and get back to you if I need some input, ok? Thanks again for your comment and especially your contribution. Take care. Hi Dilshan! I’ve been terribly busy with my exams but now I can fully appreciate your blogposts! Thank you so much: I always find your written images to be super-useful, so please keep them coming. “My feet hurt from walking”, “I feel the rain in my bones”, “to be agile like a cat” (just random thinking on a rainy day). How are you??? Happy that you’re back. Hope that the exams went smoothly? Thanks for the suggestions too. They’re perfect (and erm, original… agile like a cat?? Okkk…. haha). Will add them to the list. I seriously hope we have no reason to worry about your health. These “visiting a doctor” phrases would really be useful! Also slang terms about students wouldn’t go amiss. If everything is OK when the time comes I am planning to study in SriLanka! As soon as you see my comment karunaa karala let me know so hopefully we can have a talk. Study in Sri Lanka? That’s awesome. Let me know how that goes. All the best and speak to you again soon. After ling time I read your blog .So many new things. Keep it up. Spelling mistake. After long time not ling time. Sorry about it. Hi Chandra, glad to hear from you. Welcome back! Reading this post today was very interesting. Totally awesome job as usual from you, and your new ‘voice’ he’s great. learned some here, and of course had fun too. Love the photo shoot pics, looks like you all had fun, I laughed also. You both have very nice smiles there. LOL I need to set myself a study plan, so much interesting stuff here. I keep jumping all over the place. A nice addition on your home page would be a suggested progress list, for us idiots that keep getting sidetracked. I am so terrible at that, even know I am supposed to be looking up something else, as always your emails sent me off……. I have been trying to put together the question. What is wrong? (meaning what is wrong with the individual). Hope that answered your question? Thanks for the suggestion of the “suggested progress list”. I might get in touch with you by email to understand it better. Im Simon. I live in Sri Lanka now and try to study hard, but is (still) difficult. But I’ll never not give up. In ’23 Parts Of The Body In Sinhala… And How I “Hired” A New Voice Talent For Free’ , in Zone 2: ‘Chest To Waist’ , the pronouncation of Breast : should it not be ‘pi.yȧ.yu.ruȧ ? Is not really important, but I like to know. Well well… Look who’s a breast expert :) Actually Simon, the spelling is correct, but my nephew’s pronunciation is incorrect. I have corrected it on my premium product () but didn’t remember to correct it on the original post itself.